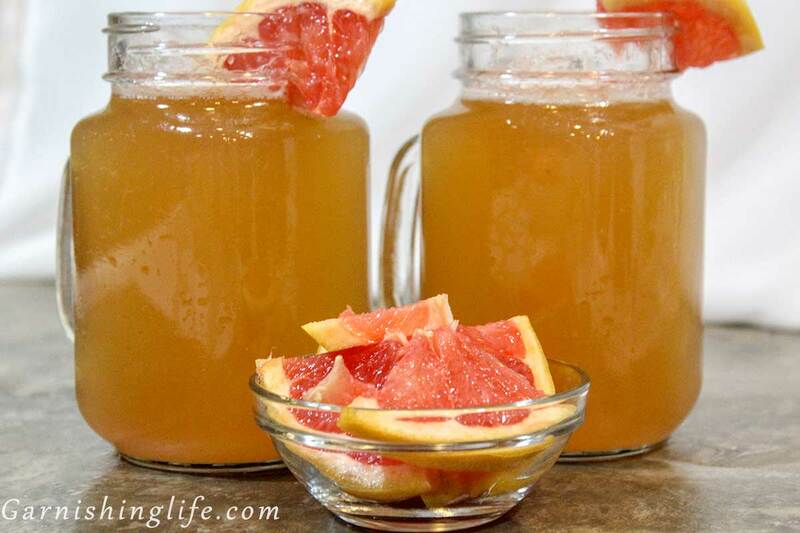 Just a couple days ago I brought you the Grapefruit Shandy. 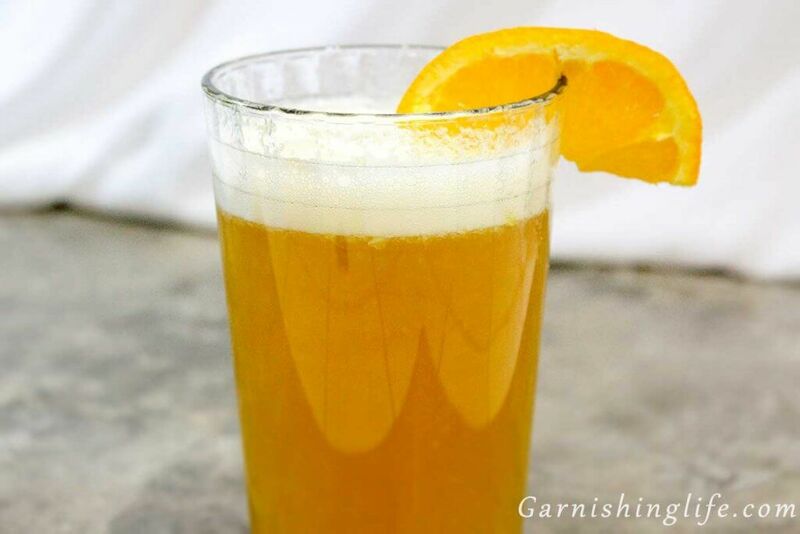 A shandy was a drink I had never made before or tried from scratch. Of course, there are plenty of pre-made Shandys on the market, but sometimes you can’t beat the feeling of being that in-home bartender mixing up a drink. Plus, you get to tailor the flavor profile to your liking. 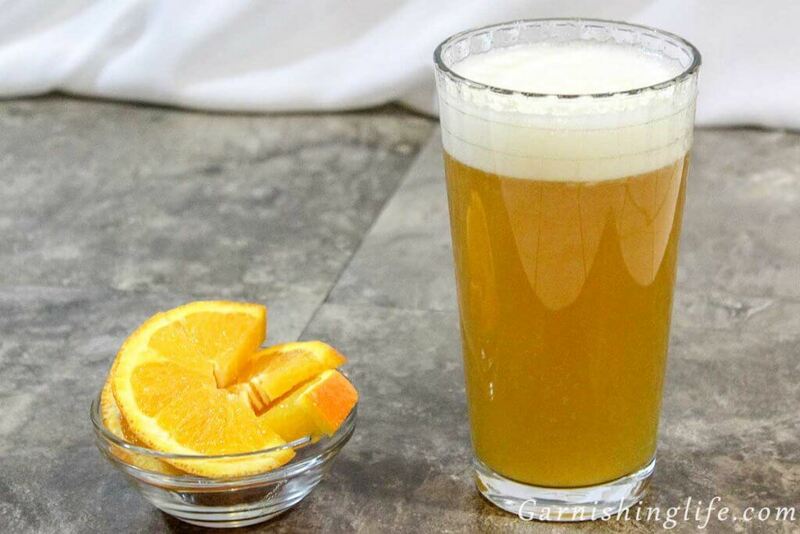 So when I got the idea for the Grapefruit Shandy, I was also hit with the idea (thanks to Crys) to do an Orange Shandy and bring them both out as kind of a two-parter. We went a little crazy this week making a slew of cocktail and appetizer recipes to share with you guys before the super bowl. Plus, we kind of slacked off sharing recipes with you through the holidays because they were crazy…and we got sick. 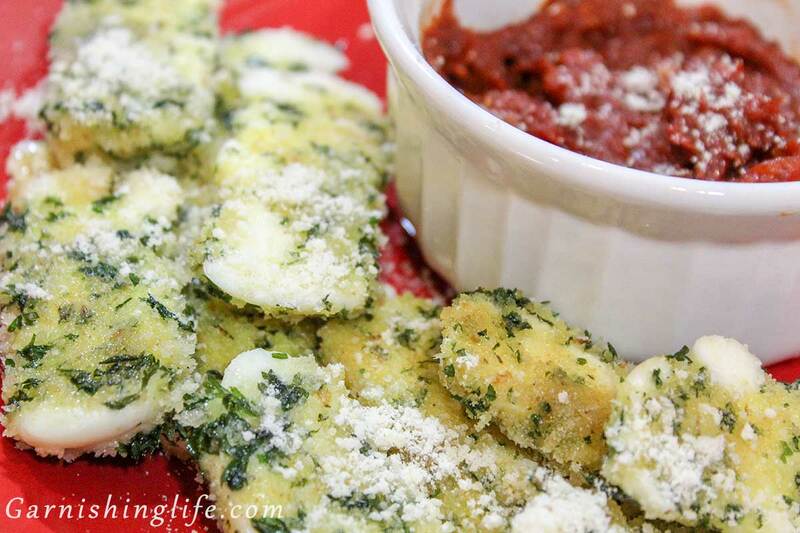 Now we’re all better though and gearing up to bring you more recipes than you can handle! Jk, you can probably handle them, but still, there’s going to be a lot, so get ready. 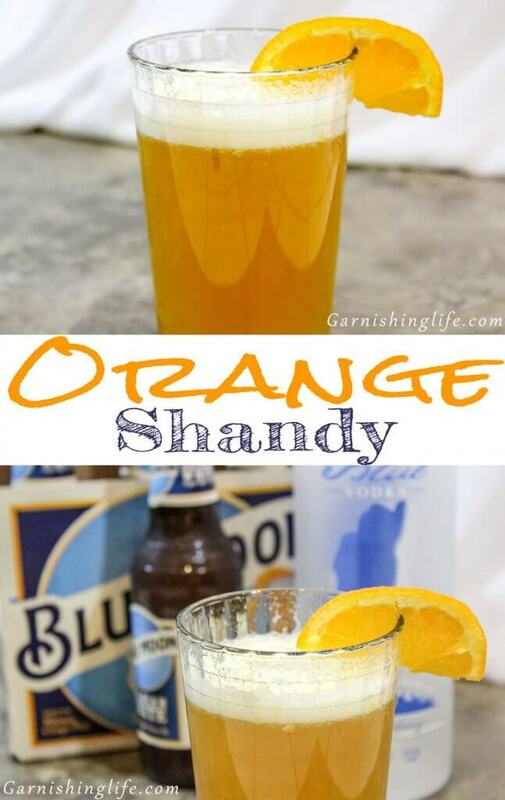 Now that we have that out of the way, let’s get back to this Orange Shandy. 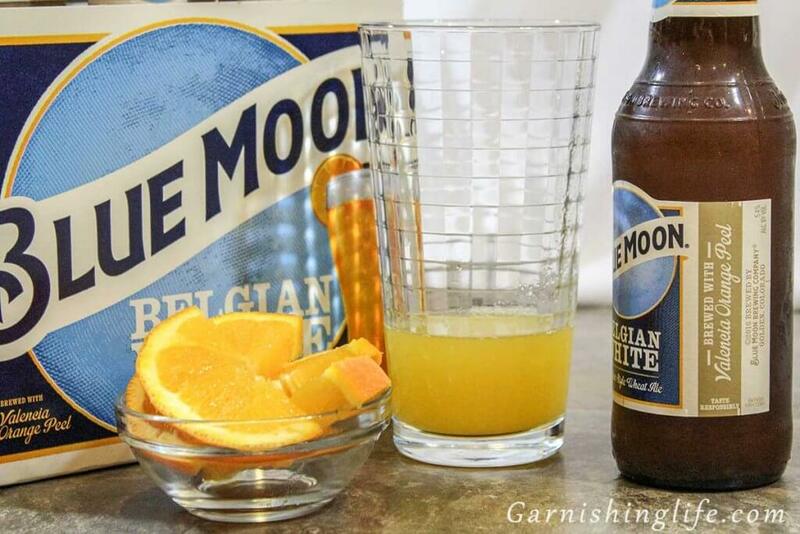 When I think orange and beer, the first beer that comes to mind is Blue Moon. With Blue Moon and Orange in mind, and the desire to add a kick like I did with the Grapefruit Shandy, I decided to add vodka. If you have seen some of my recent vodka cocktails then there is something you should know. 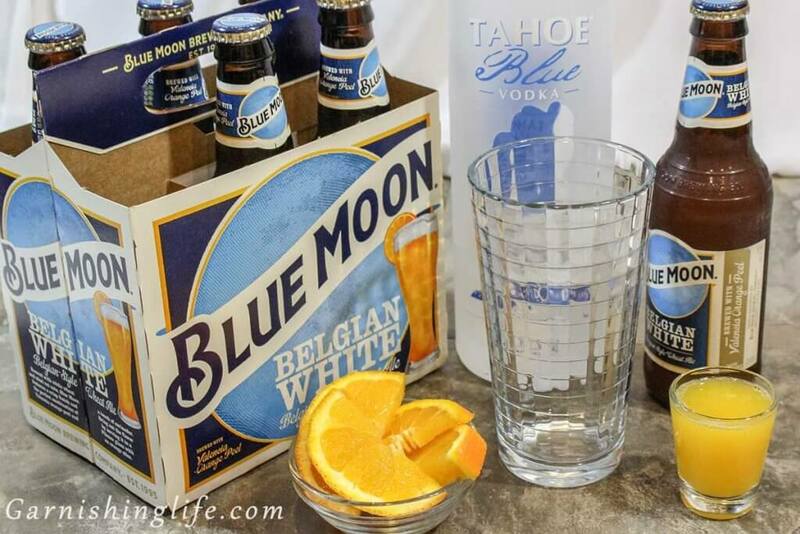 We love Tahoe Blue Vodka. As I covered in the Grapefruit Shandy, our citrus juicer saw some use this week. To make one drink, I pulled some fresh orange juice from half of one naval orange. Add the vodka and orange juice to a pint glass and give it a quick stir. Then, top with your beer. Give this a gentle stir and add your orange wedge Garnish. Then enjoy. I’ve got some more cocktail ideas coming soon, so stay tuned. For some snack options leading into the big game, check out our 7UP Guacamole, Baked Mozz Sticks, and Cheesy Garlic Twists. If you want a sweet dessert option for after, try our Chocolate Wine Shakes or Mini Mint Chocolate Cheesecakes.